This product replaces the older CAP Software Cash N Carry. 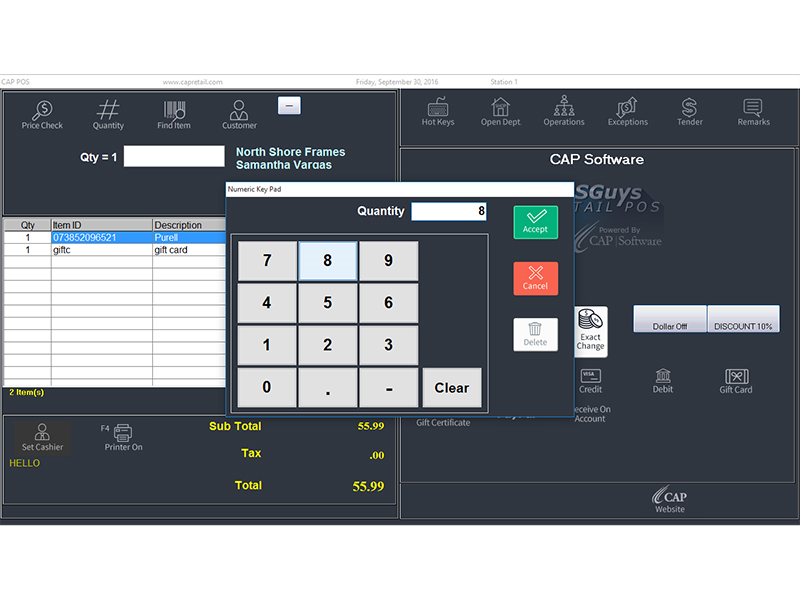 As Cap Software's flagship product, Sellwise Pro is an ideal choice for larger retailers or businesses looking to leverage advanced reporting features. 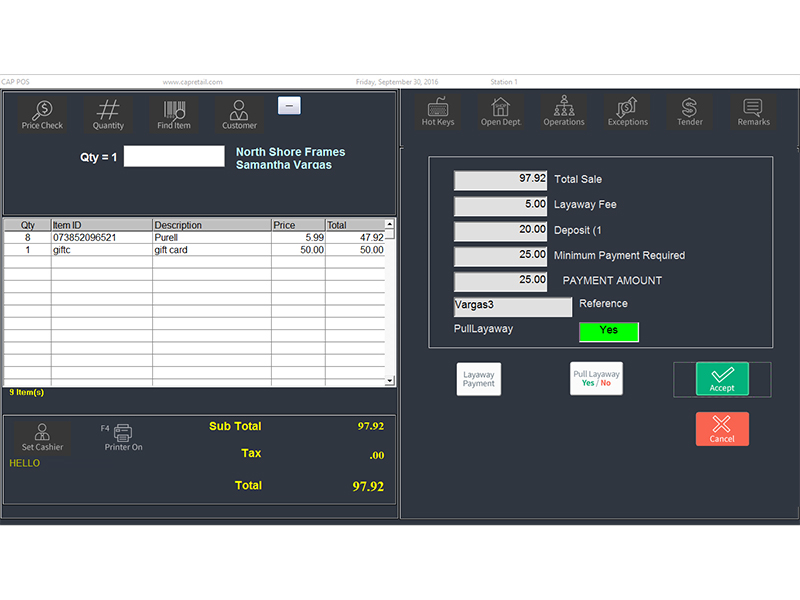 The interface can be customized to ensure smooth operation by you and your employees, speeding the checkout process and improving customer satisfaction. Hot keys can be added to speed lookup, fantastic for unmarked products such as produce. Data management in Sellwise Pro is remarkably powerful. Automatic item tracking keeps inventory counts accurate all day, and automated purchasing and reordering keeps your store stocked of the items you need. 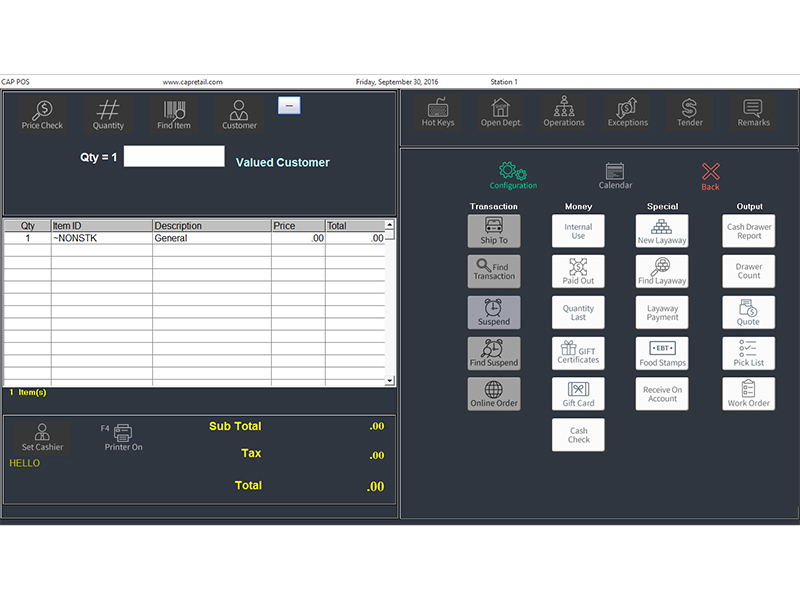 Customer data management is supported in Sellwise Pro as well, allowing you to provide the loyalty programs and discounts that keep customers coming back. 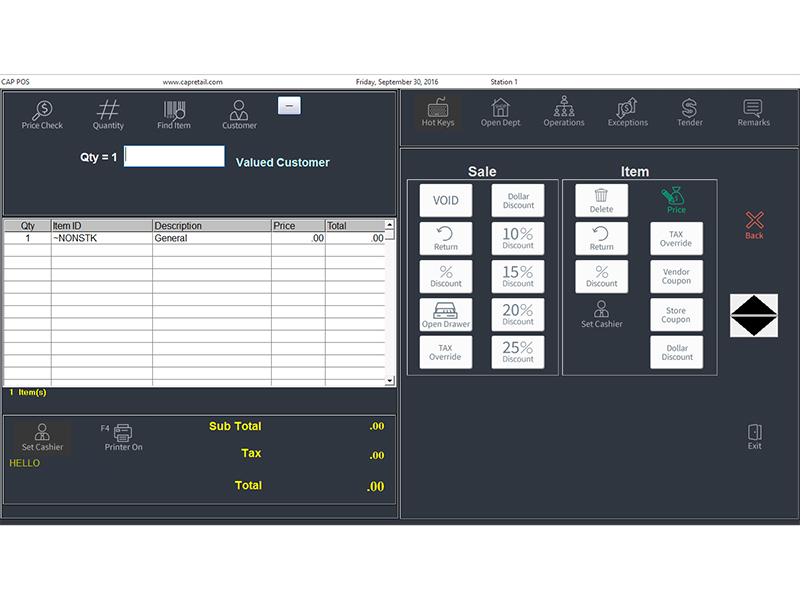 Cash N Carry gives retailers a slimmed down version of Sellwise Pro, eliminating the customer database functionality to speed the checkout process. 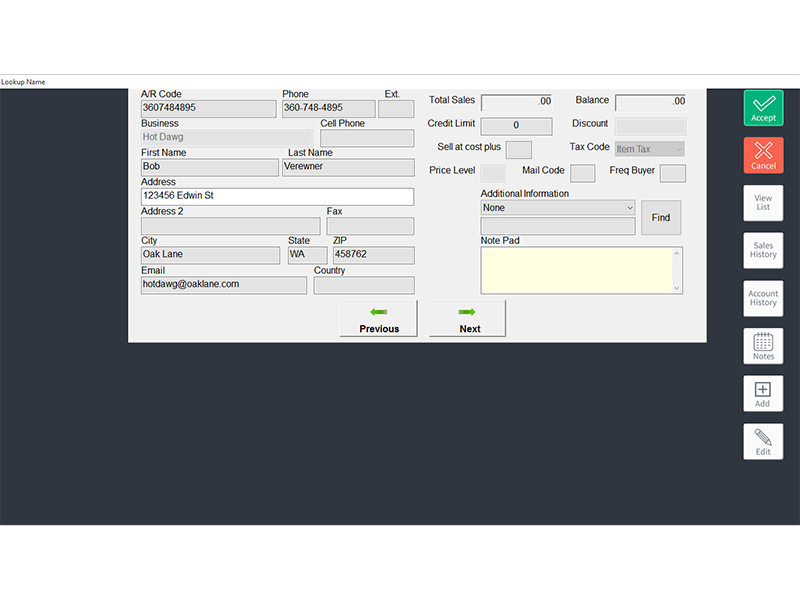 The intuitive software supports touch screen item entry and lookup, using large buttons to aid in touchscreen accuracy. And product image integration ensures the right products are being sold, promoting inventory accuracy and customer satisfaction. Back office functionality in Cash N Carry provides the tools you need to keep your business up and running. Advanced item, department, and vendor reporting makes it easy to spot trends, reorder inventory, and maximize sales. A built-in tag and label designer allow you to give product and shelf tags your own custom look, terrific for reinforcing your store's style. And PCI compliance in the software keeps your and your customers' data safe. Both Sellwise Pro and Cash N' Carry are available on a subscription based plan. 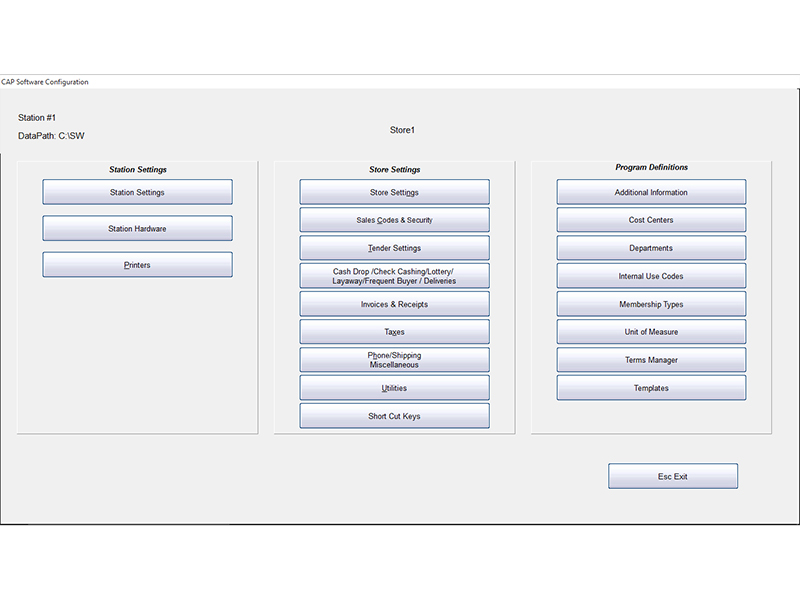 Included in the price is a single station license, office hours support and software upgrades. Terms and conditions do apply, please give us a call for more information. 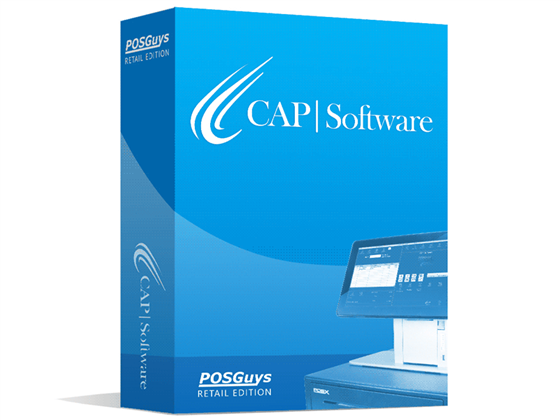 Cap Software provides additional support for their software, including over the phone training, data backup, and import services, providing the additional peace of mind you want for such a vital portion of your business operations. 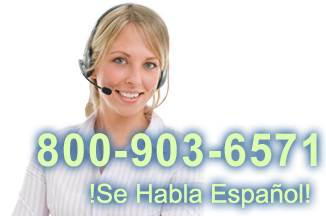 One-Time Purchase and Recurring Monthly Billing Options are Available. Please see Options for pricing. Find it faster! 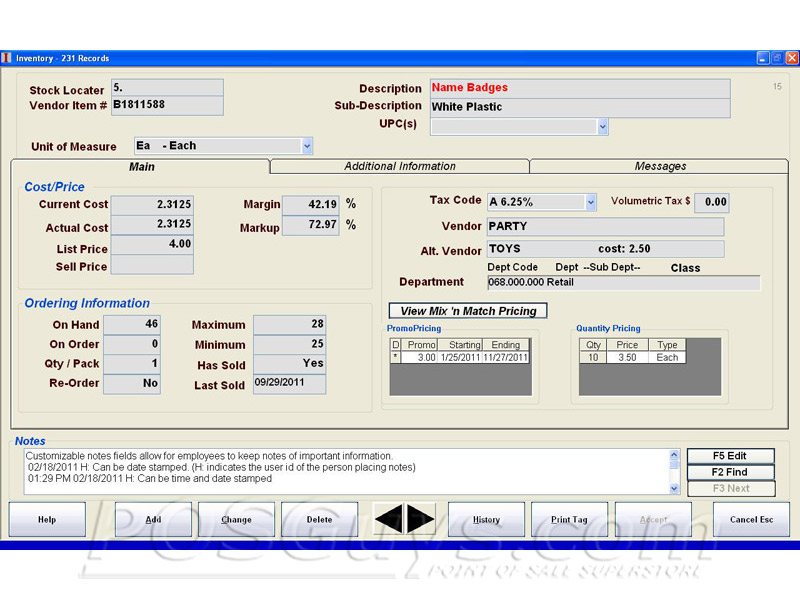 Click here to compare Point of Sale models by feature.